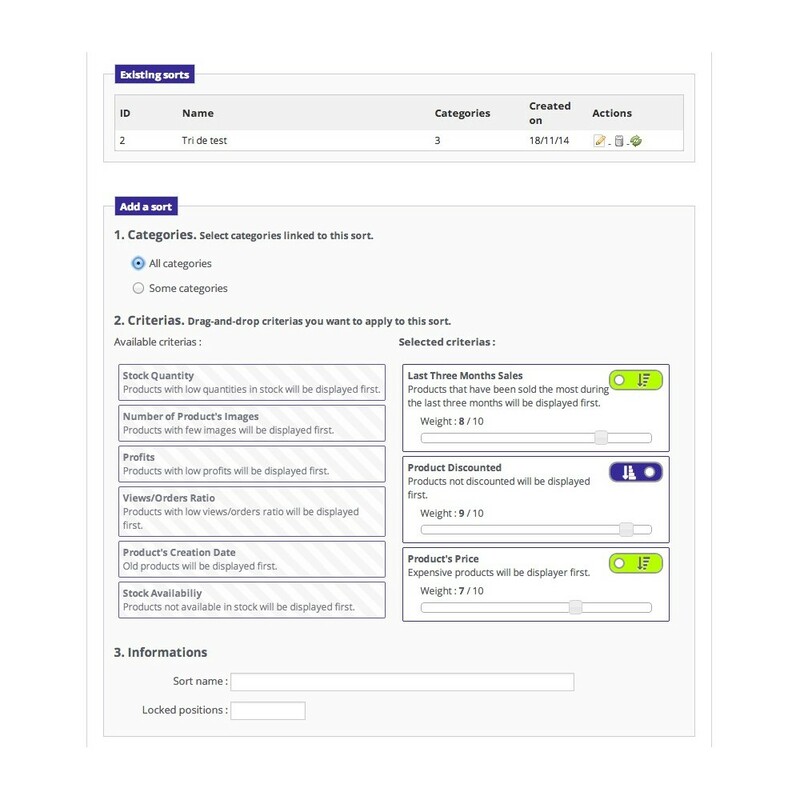 This module allows you to change automatically your products' position thanks to sort you would have previously defined. For a given sort, you can choose one or several categories that will be impacted. Then, you will be able to add one or multiple criteria. It is possible to combine several criteria while giving them a different degree of importance. When several criteria are combined, you can adjust the "weight" of each of them in order to set their priorities between them. Essential if you have a lot of products in your catalog! 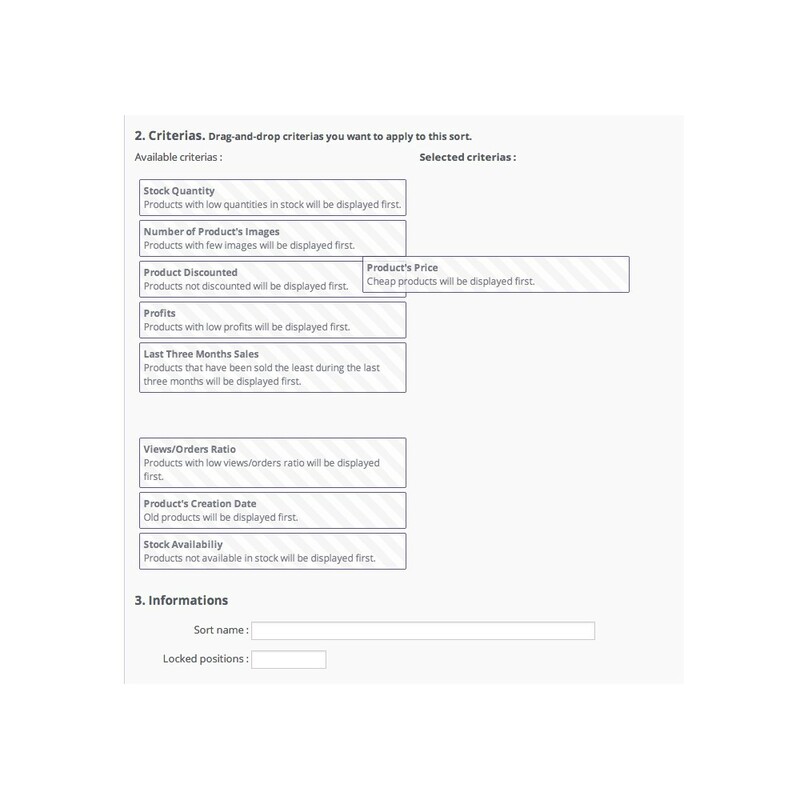 NEW: you can now easily create your own criteria from patterns! For instance, maybe you will be more interested by the last 10 days sales rather than the 90 days one? No worries, you just need to create a criteria with the wizard included! Numerous other criteria are on their ways and should be available soon! Some of them are even customizable, allowing you to use you own settings! 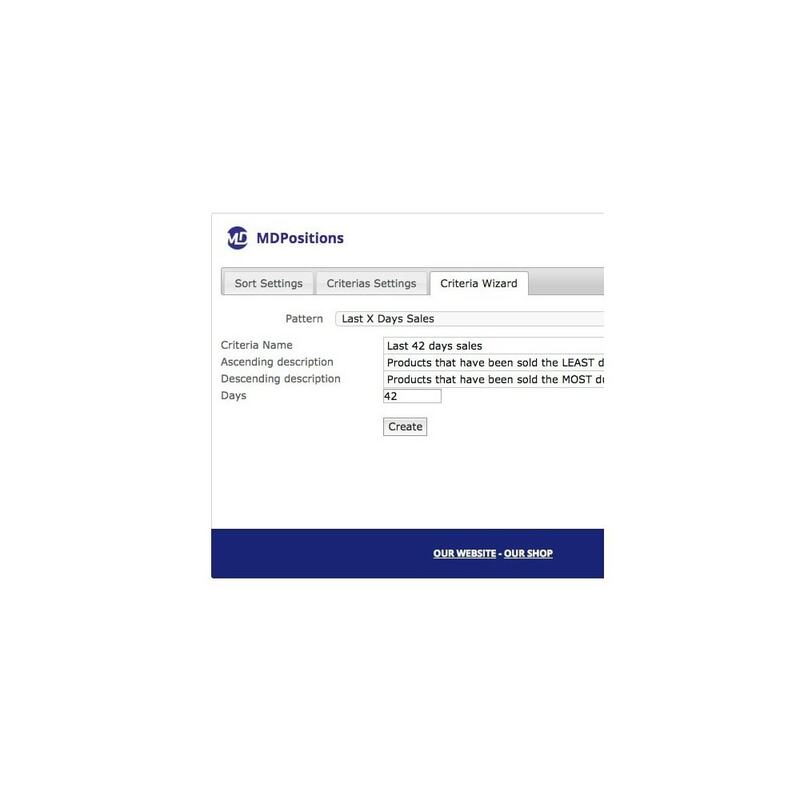 You can also define for every sort a number of "locked" positions: products' positions that are positioned within this range will not be altered. 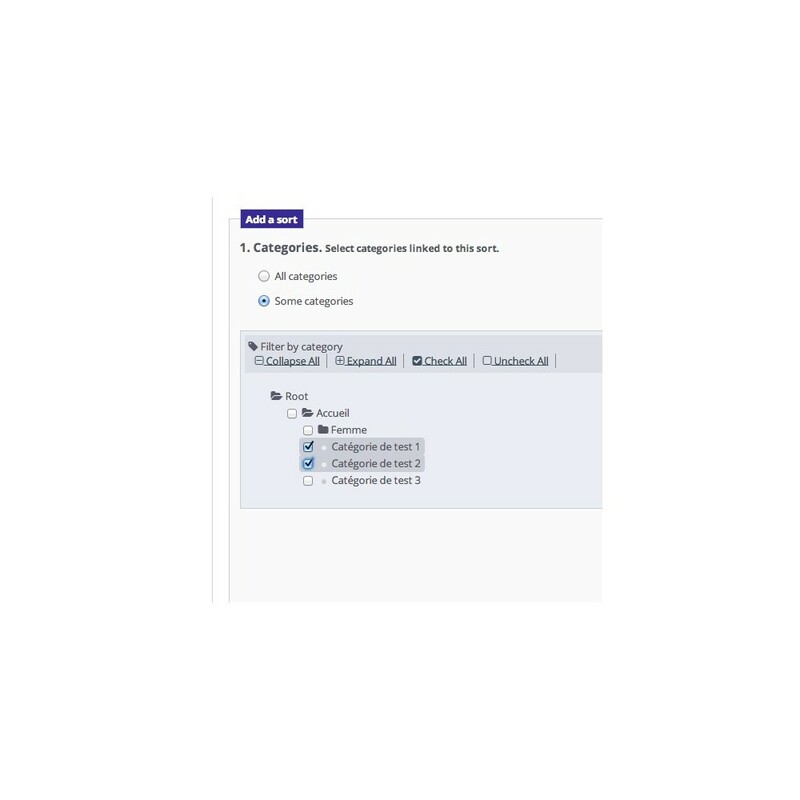 You can still keep control of your nth first products' position in each of your categories. A smarter positioning of your products will ensure your visitors a better experience while browsing your website. User Manual included within the module's archive.